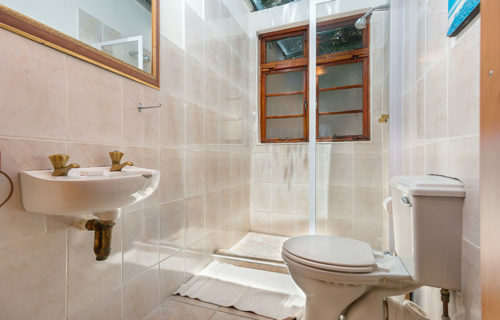 Antrim Road is a nice quaint 3 bedroom terraced vacation villa situated in Three Anchor Bay/Green Point. 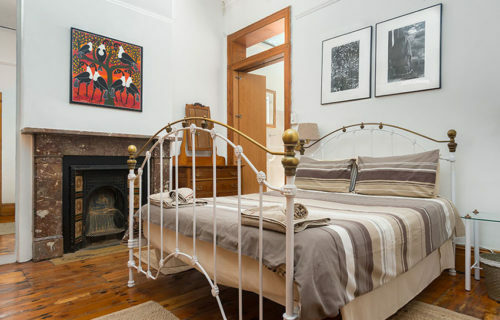 The house can sleep 7. 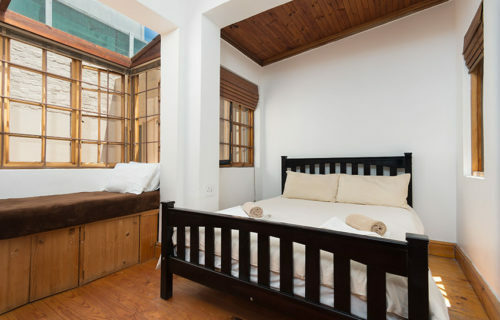 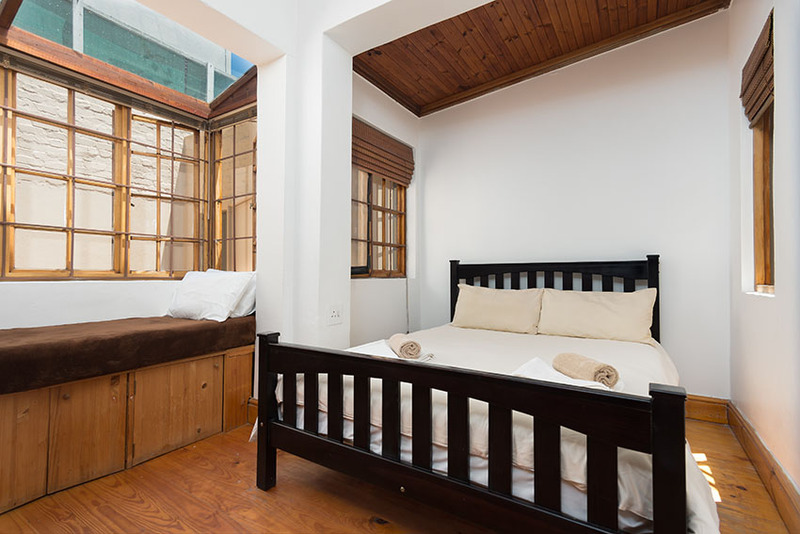 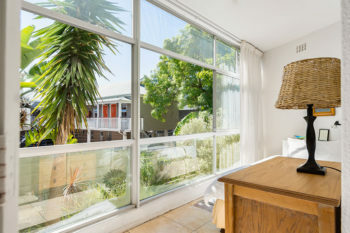 The main bedroom of this vacation villa in Green Point has a queen size bed and an en suite bathroom with shower only. 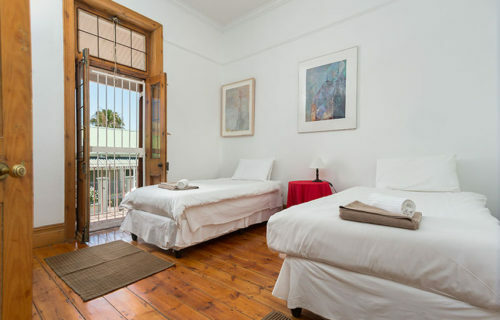 The second bedroom has 2 x single beds and the third bedroom has a double bed and a small single bed. 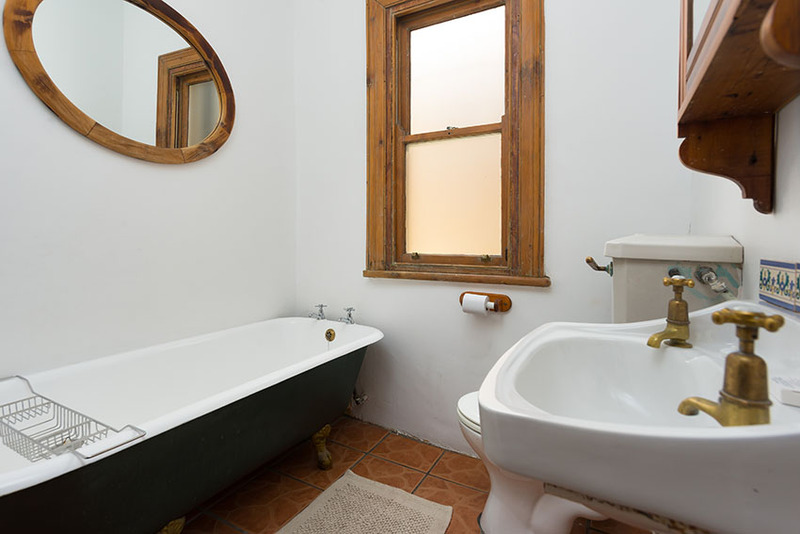 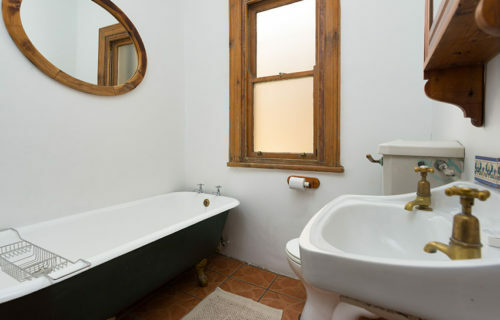 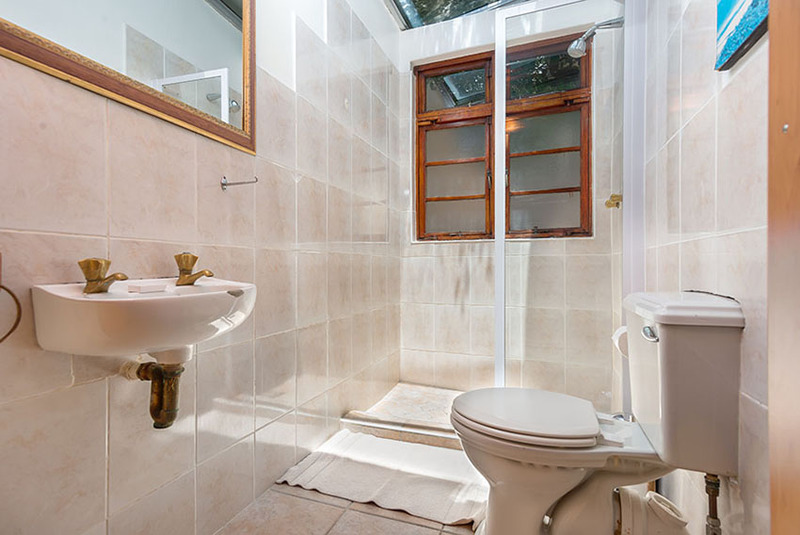 The second bathroom has a bath only. 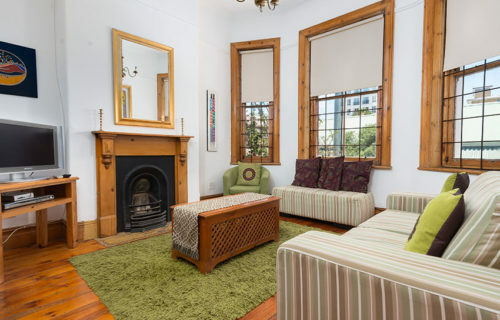 The separate lounge/dining room is situated at the front of the house with lovely bay windows. 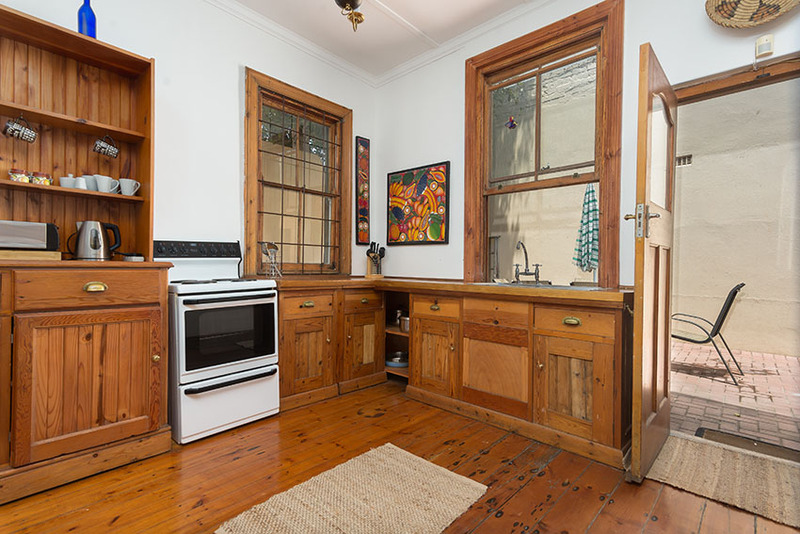 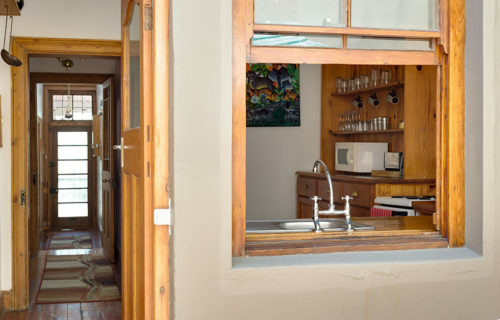 The cottage style kitchen is situated at the back, looking out onto the secluded back patio area. All the floor boards, doors and frames are original Oregon pine. The back patio area has outside furniture supplied as well as a Weber braai. 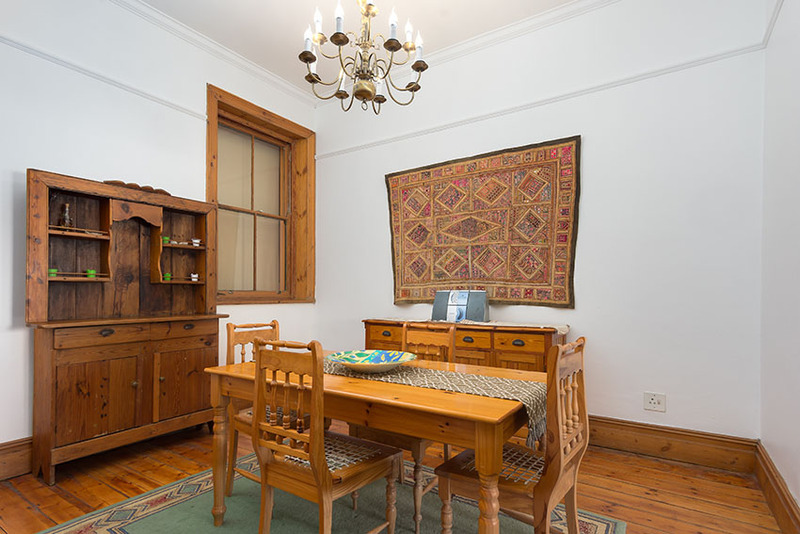 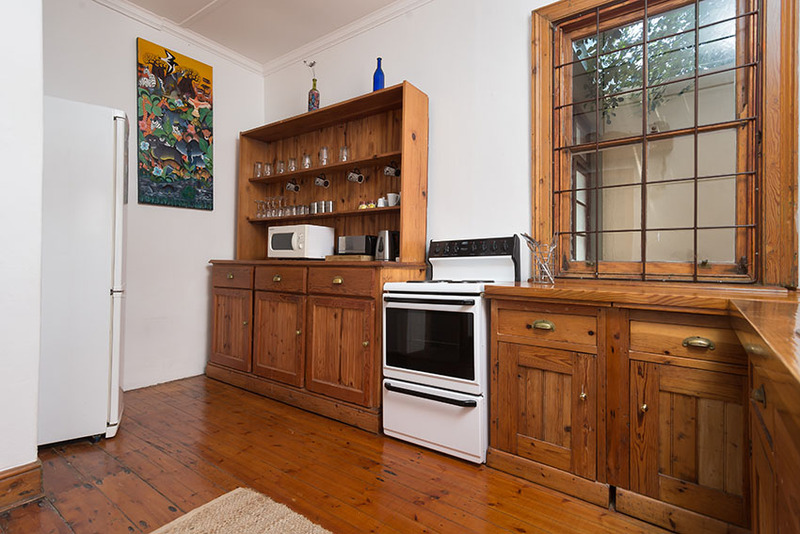 Furnishings are basic but comfortable and all linen, towels, crockery, cutlery and kitchen appliances are supplied. 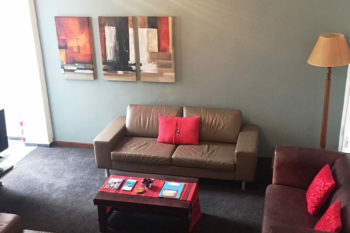 The lounge has a TV, DVD player and sound system supplied. 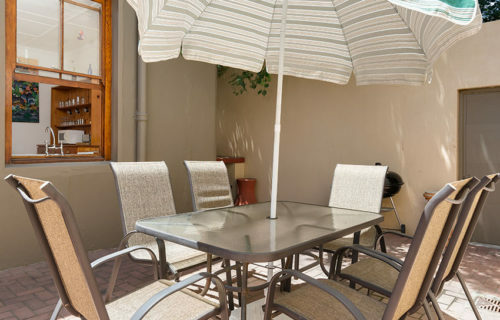 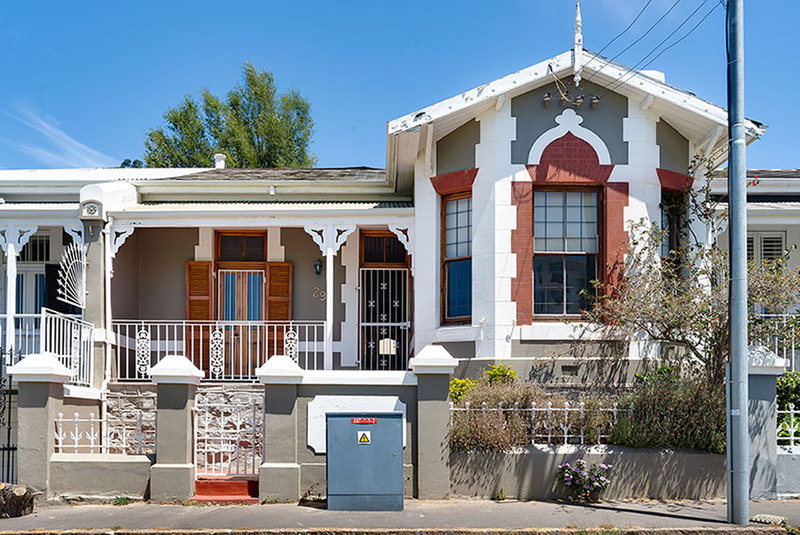 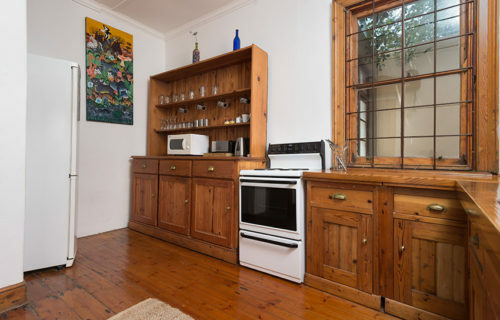 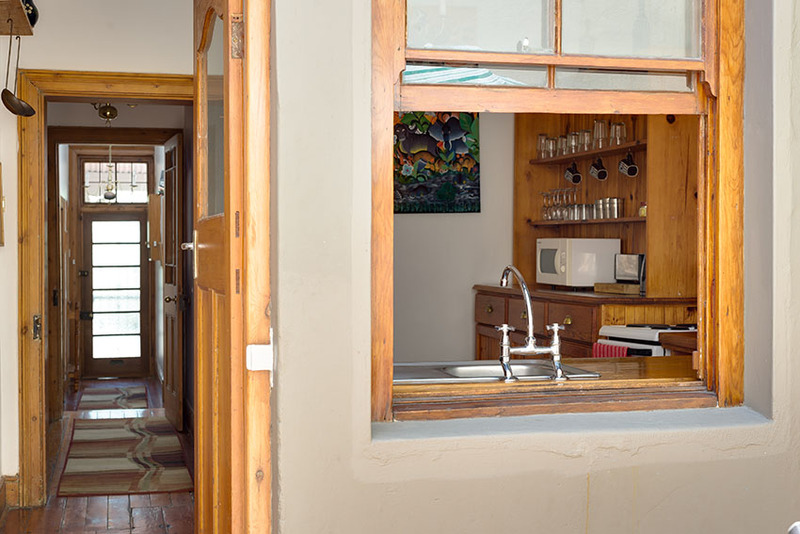 There are numerous restaurants, cafe’s and shops in close walking distance of this vacation villa in Green Point. 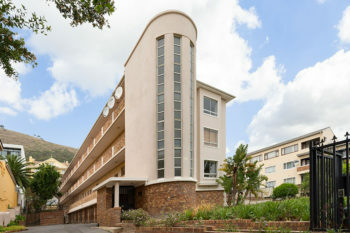 The Sea Point promenade is a 5 minute walk, the V&A Waterfront is a 15 minute walk and the beaches of Camps Bay and Clifton are a 10 minute drive. 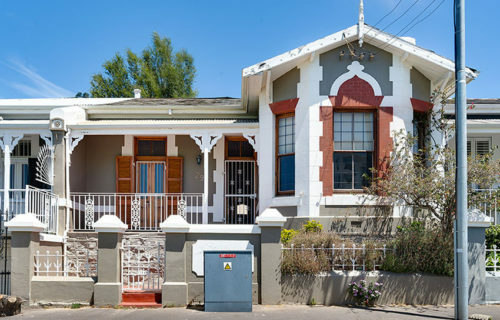 Parking is on street and quite safe as long as nothing is left visible in the vehicle.